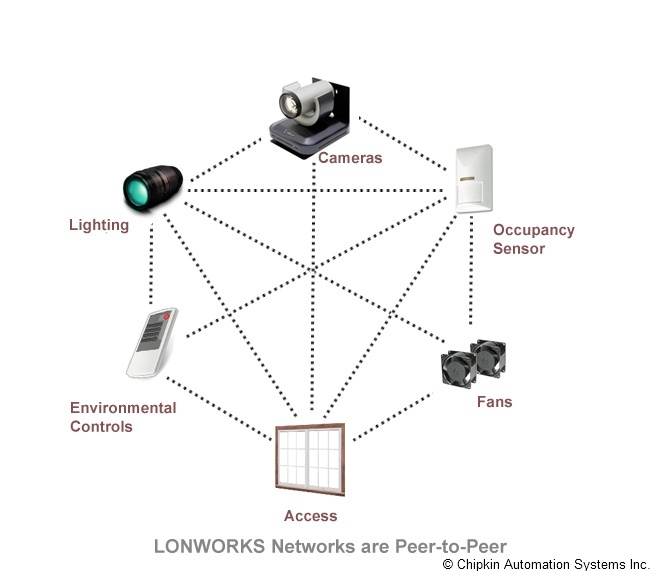 A FieldServer protocol gateway that provides data exchange between LonWorks and Notifier 3030. The NFS3030 Serial driver allows the FieldServer to record data from Notifier Onyx Series NFS3030 Fire Panels over RS-232. The FieldServer acts as a Passive Client receiving messages and recording the status of a Notifier 3030 Fire Alarm Panel. There is no active polling by this driver; the communications are one-way through the panel's printer port. This driver is not capable of emulating a Notifier NFS3030 panel and the very limited Server functionality has only been implemented to facilitate FieldServer’s Quality Assurance program. 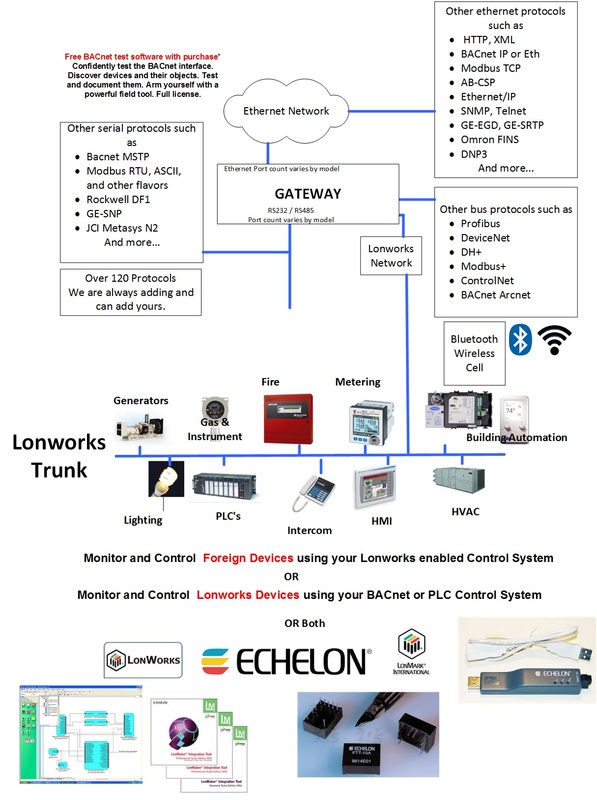 The purpose of this driver is to record the status of Fire Alarm System detectors and Modules in Data Arrays - one Data Array per loop. It is limited by the information that the Notifier NFS3030 unit sends in the form of text messages through its RS-232 printer port. 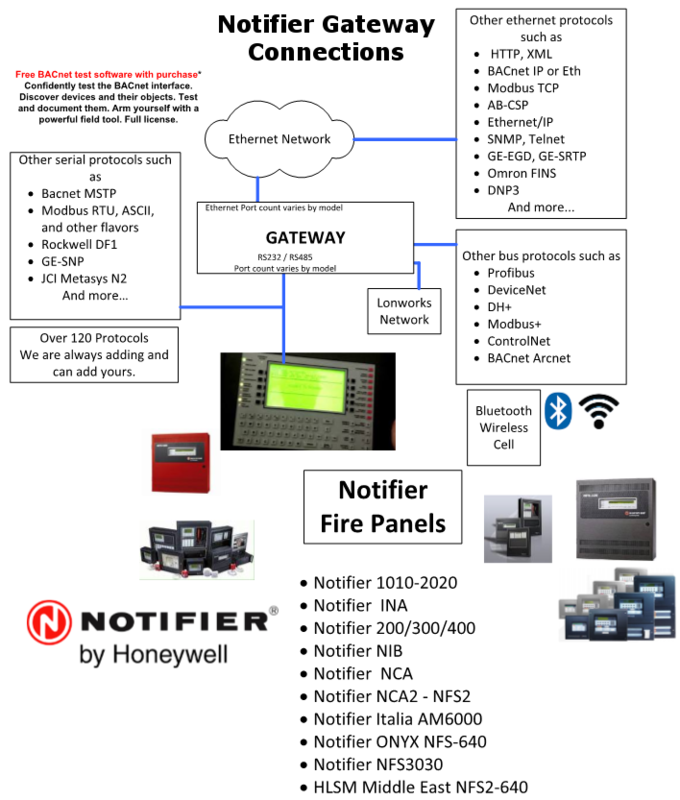 The accuracy and timeliness of the data is therefore limited to the frequency of update messages that the Notifier Fire Panel issues. Appendix A of the manual lists the Notifier message types supported by this driver and the effect on the status of points in the Data Array. 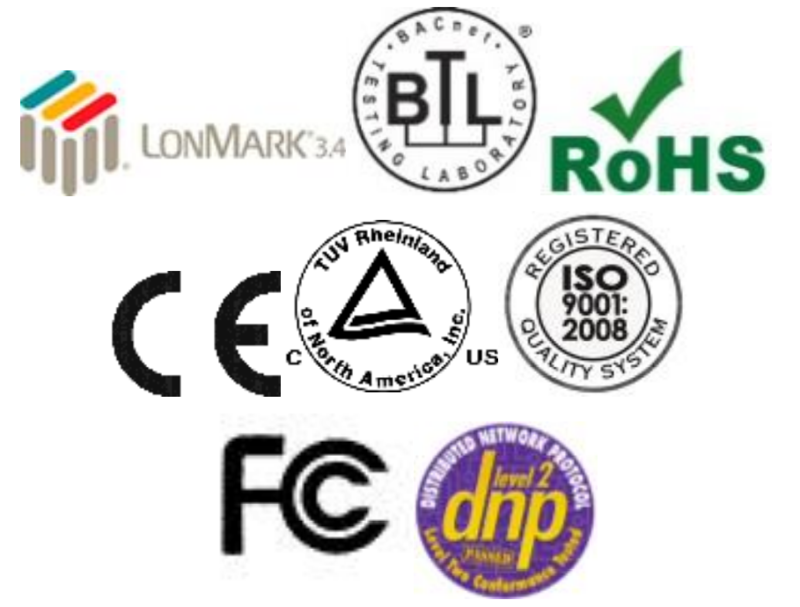 The driver is capable of supporting the panel’s port supervision message if configured to do so. The panel must output messages in English.